I toured Morningside Ministries at the Manor, but they did not have a room available for dementia patients. Everything was fine. I saw the dining room, and it was nice. It was not a locked facility and was a big place. It is the prettiest place in the area. I moved my mother to this care facility after she suffered an injury. The entire staff was caring and took great care of my mother. I was fooled by appearances at the other location because it was new and shiny. 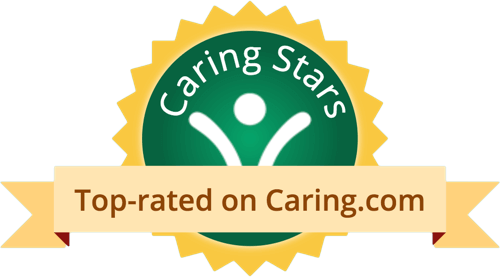 Although this place may be a little older, the care they provide is outstanding. My father was there to get rehabilitation after a toe amputation. I was off for the summer and visited at all times of the day. His yells would be ignored. No one followed up with scheduling his follow up doctors visit. I had asked during a phone conference if they would be scheduling the follow up and was told the facility would do it. My father wound up getting an infection on his feet which resulted in another toe amputation. I went to visit this facility among other facilities I am looking into for my sister. This place is clean and the furniture is in pristine condition. The staff is helpful and very friendly. I got a chance to meet some of the residents that live there and their visiting families. the families told me that they are kept informed of everything going on with their loved one no matter how large or small the matter may be. This is of utmost importance to me and my family. 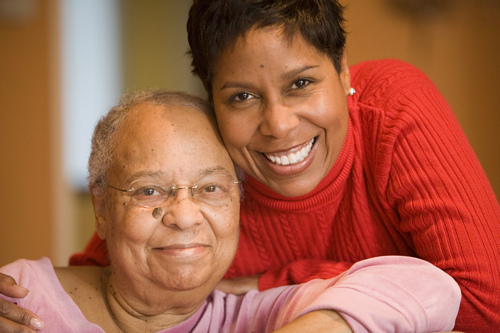 Having communication between the staff and family members is a MUST. residents and family members both told me the food is great and they love the activities provided. I was told the staff there goes above and beyond what they need to do to make sure the residents that live there are comfortable and well taken care of. Definitely sounds and looks like a place I want my sister to live. Everything was good at Morningside Manor (Morningside Ministries at The Manor). It was clean and friendly. And didn't have an odor. Overall, it was good. It was centrally located. My mother-in-law has been in Morningside Ministries at The Manor since March of this year. Their services are excellent. They keep you in contact; if anything goes wrong, they are on the phone with you to let you know what’s happening. She’s on a diabetic diet, and I know she’s picky, but they do the best they can to satisfy her needs and what she likes. It is extremely clean because it does not smell at all, and this is one of the things I judge. I told my husband, "If it smells like pee the minute I walk in, we are out," but there’s none of that, not from when you walk in nor when you go to the other floor where she lives. She’s comfortable, but she’s not happy because she prefers to be home. What’s really neat is that they have their nursing home, retirement living, and assisted living connected, so if you have a loved one in the nursing home, they can still walk over; everything is right there. My aunt was in Morningside Manor. She was difficult and didn’t want to eat. However, the people were pleasant and the nursing staff was good, but they were short on staff. They’ve all been friendly, very courteous and helpful at Morningside Ministries. They called back to double-check and see if they could be of any further assistance. My father was there for just a handful of days in a semi-private room, with which we were not very pleased. The room was rather crowded, and because he shared a room with someone, the other person’s belongings were everywhere, so it was hard to be comfortable there. My father’s bed was up against one wall, and the placement of the furniture was awkward. It wasn’t a room that was big enough for two hospital beds. We went to visit Morningside Manor. It is very nice, but it is a four-story building, and my sister wants to be in a single story. It is very well-kept and clean. The residents work there as receptionists, answering phones, maybe volunteering for light jobs, but they are very friendly. Morningside looked very nice, but it was a little more expensive; that's why we did not consider that more. They had more choices on the size of the accommodation. Also, the meal was very good. My brother moved in at Morningside Manor in March. Everybody was very friendly. We talked to some of the residents and they were very happy. We looked at one of meals that they served and it was very nicely served, very pleasant living conditions. The apartment that we found for him was lovely and the lobby where everybody sat around was nice, somebody was playing the piano. It was very nice and we were very impressed. I surely would recommend them. Morningside is a much older and smaller facility. It was kind of dark and right off a busy street. It has less security. She liked the food though. They also didn’t have a staff to take us around, they told us to take mother and look at it ourselves. It was a weekend and they didn’t have anybody there. Morningside Manor was beautiful looking. It was very clean and neat. It is supposed to be Christian-based or church-sponsored and I like that. They have very friendly nice people there and they also serve very delicious healthy foods. Morningside Manor is one of the biggest nursing homes in San Antonio. We had my grandmother over there before we moved her to a different facility. It was a nice place and the food was good too, but they were very expensive at $5700 a month. They had a full nursing staff over there, but my grandmother didn't really need that much of a facility and actual nurses to care for her because she had hospice care that came in and checked on her. You pay extra over there because of the nurses on duty all the time. Everything worked out the way it did, but it was just very, very expensive, which is the only complaint I had. Very good facility and the staffing is great! Had lunch with my father there on a visit and encoutered a very disturbing incident in the dining area. A lady by the name Anna, didnt catch her last name, dad says she is the supervisor for dining, talked down to employees in a unruly manner! Made my lunch very unpleasent! I belive a person of her age and superviser skills should conduct them selves in a professional manner! Other than this rude person the place is great and dad loves it! I wont be joining dad for any further lunches tho, this person should be FIRED! The facilities are nice. They are well maintained and the vegetation is very well cared for; the overall look is very green. The layout of the facility is very open and easily navigable. Parking, however, is a little difficult to manage and is not easy to accomplish if you wish to have your vehicle at the front of the main building. I suppose, however, much depends on the timing of your visit. The staff, in general, is fairly amiable. In my experience this is particularly true of those who work in the salon. They have a caring and upbeat attitude which goes well with the specifics of the job. Of the other staff, however, I have been present during at least one occasion of a dismissive approach to the requests of the residents for assistance. Such an incident does not seem typical, overall, but still stands out as rather distinct in my mind. On the whole the facility gives a favorable impression. The facilities were clean and the receptionist usually cheerful but essentially, that girl at the desk was the only one who ever really smiled. Whenever my youth group from my church would go to visit and sing for the residents, they were happy and delighted. Perhaps our youthful appearance made their day, because otherwise they looked sad, discouraged, despite their bright, cheerful surroundings. I recall when my dad, who was a Bishop, would park in the church parking lot next door, one could smell the food cooking for the residents from across the street. Some days it smelled decent, usually it was grilled chicken of some kind with steamed green beans. Other days it was corn chowder and some other soupy smell that was perhaps a few days past its expiration date. I also recall seeing ambulances from time to time in front of Morningside Manor's doors. And only once I recall a resident, whom had severe Alzheimer's, tried to make a run for the door as we were coming in. The nurses were able to contain the former veteran with a little physical effort. Still, the experience made me feel uncomfortable. Mom and I used to jokingly refer to the place as "Shady Pines". Despite the fact that my mother left my dad in a state after over thirty years of marriage, I wouldn't send her to Morningside Manor in her old age. It just seems too weird for me. I have been helping my Mom look around for something suitable as she will have to move from her condo soon due to it being upstairs and she has problems getting up and down them. This is the first place we went to. It is close to the medical center, and she wants something that offers independent living with options. Morningside Manor actually has cottages available, and also they would be able to handle her from that point through assisted living and a nursing home atmosphere. It's really clean and the staff was friendly and helpful during our visit. We are going to keep this one in mind when we make a decision on it. Great place! Morningside Ministries at the Manor is a senior living provider in San Antonio, Texas that offers residents Assisted Living and Nursing Homes. Contact Morningside Ministries at the Manor for more details on services and rates. What should caregivers and potential residents know about Morningside Ministries at the Manor?